Our daughter Julia Maria Smarto was born on October 25, 1994. My husband Mark and I knew from that very first day, that there would be more in life for her, besides having an extra chromosome. 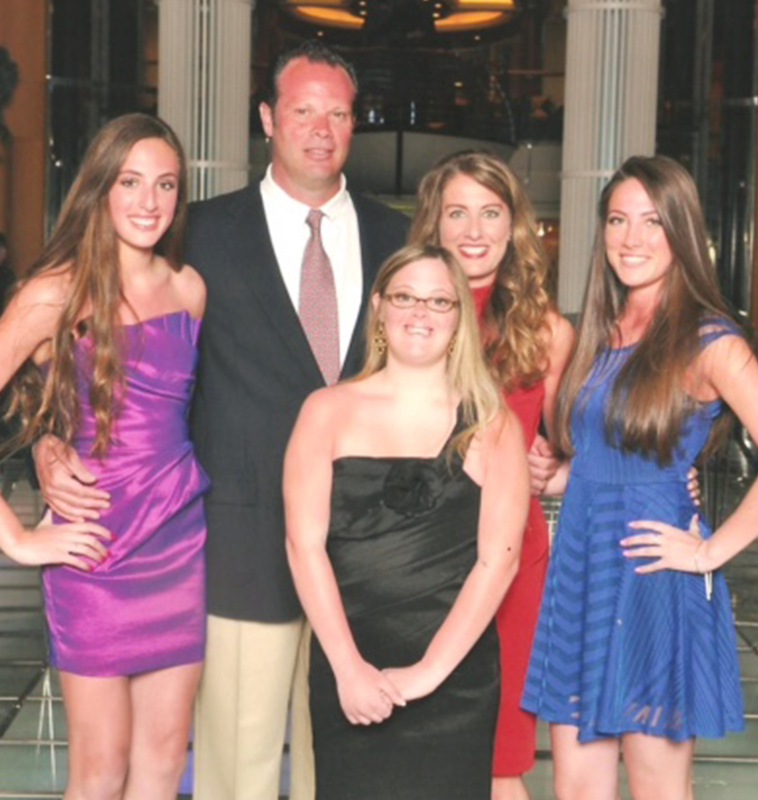 By the time our daughter was 2, Mark and I became trained volunteer Support Parents for the National Association for Down Syndrome and helped other families who had been given the same diagnosis at birth. 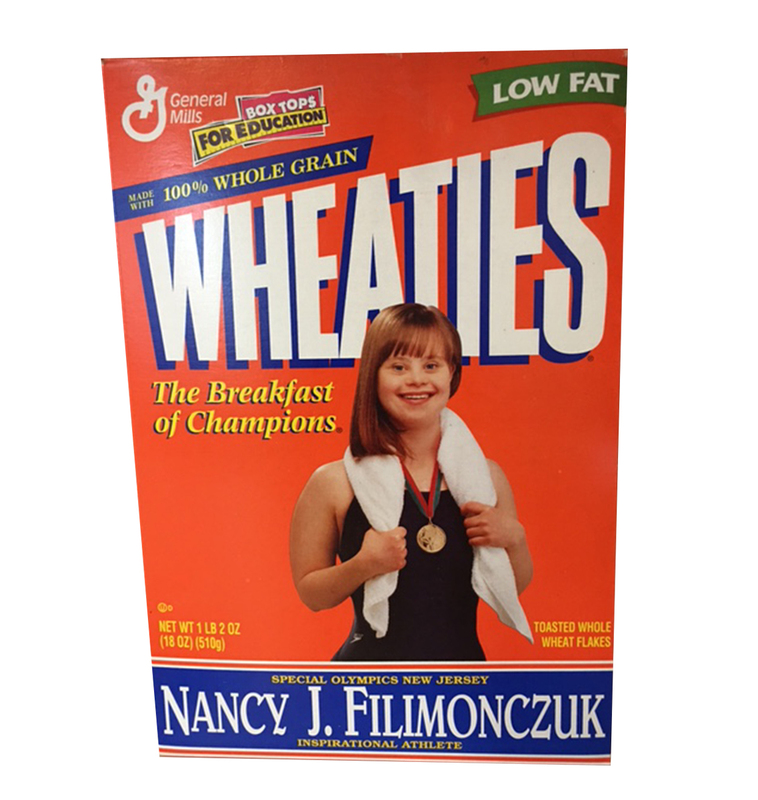 Years later, when I became a trained volunteer Parent Speaker for NADS and then moved into my current staff position with the organization, I found a Wheaties box that I had saved from 1999 that had Special Olympian winner Nancy J. Filimonczuk on it. I happened to be updating one of my “educational” powerpoints, and I thought that is was something to include, because it gave me hope. As a mom, I wanted to believe that dreams did come true, just like it did for Nancy Filimonczuk. I remembered the geneticist sharing with my husband and I, the day after Julia was born, all the things that our daughter probably would never achieve. She had a whole list of things including: she would probably not walk with a good posture, or be able to ride a bike, have a nice legible handwriting, be able to jump on a trampoline, have a good paying job, know how to drive a car and have a very thick and short tongue. Not to mention, at the time my husband and I were only married for a short 2 years, and she suggested that most marriages with a child with a disability (75%), don’t last. Thankfully, we just celebrated our 25th wedding Anniversary! As a parent for 23 years, one of the things that I do in my job is to present and illustrate to hospital staff, students, teachers, educators, therapists, early interventionists, police/fire departments, rotary clubs and different organizations, is that every picture tells a story. Some of us our visual learners and some of us our audio learners. 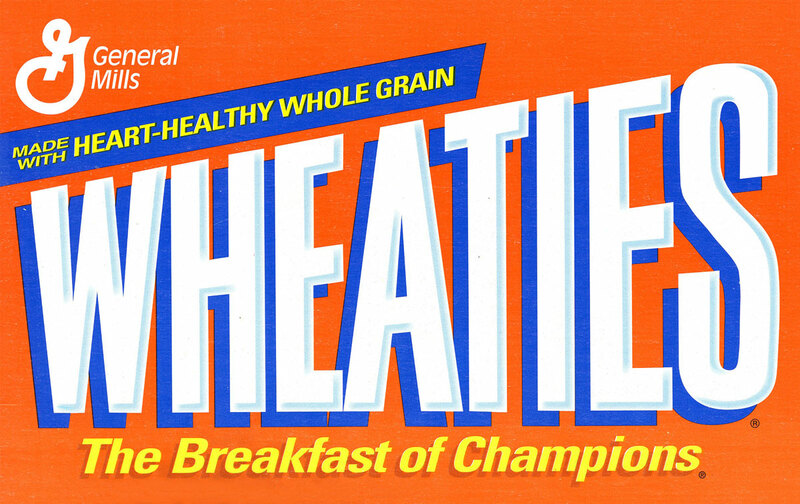 For me, it spoke in volumes to see this young girl’s picture on the cover of the Wheaties cereal box. It was a great example of strength, coupled with success! I clung on to that hope for years!!! Today, I am proud to say that my daughter Julia , also demonstrates the same strength and success every time she presents with me advocating on Down Syndrome Awareness. Her presentation and powerpoint pictures include so many different capabilities: from indoor sky diving, jet skiing, snorkeling, swimming with the dolphins, riding a bike, driving a car, playing in a Bunco group, vacationing with her friends, dances with her boyfriend, her certification in CPR, working 5 days a week as a teacher’s aide (for competitive pay) and even her ability to touch her nose with her long tongue! In 1999, we had the Wheaties cereal box, in 2018 we have the Gerber baby. I can’t wait to see who and what will inspire us next! This powerful media imagery allowed us to set the bar higher! Sky is the limit for all of our children (with or without Down syndrome). What an encouragement! Thank you for sharing. As a mom of a 20 year old with DS it is incredible to see what she has done and what still lies ahead. It saddens my heart when the negative of what they “can’t”, “won’t “ do is presented and choices are made to end a precious life that you have no idea “what “ this child can and will do. She has made our lives richer and deeper. Oh yes, we’ve been married 25years too! Both are commitments! Riding the waves together. Yes love it!!!! Let’s share and inspire others!